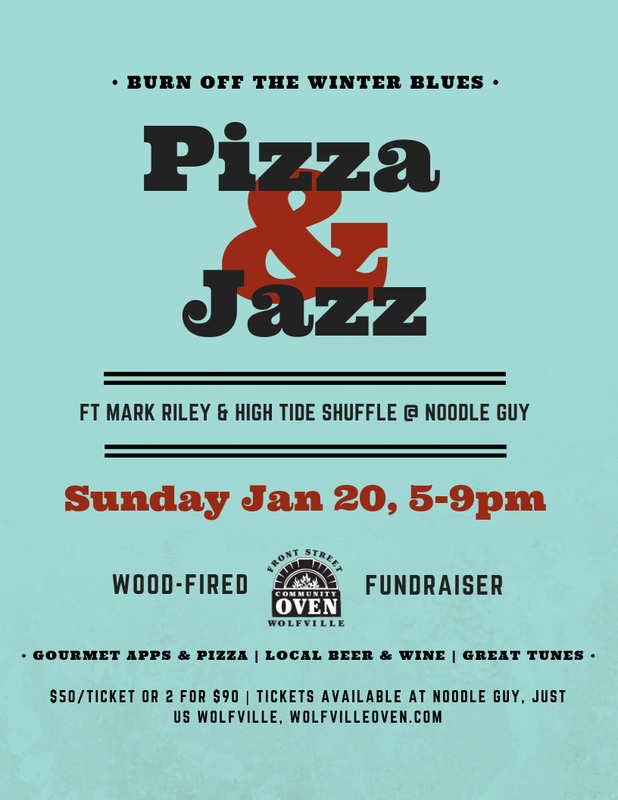 Join us for top your own pizza night with food from Ross the Noodle Guy, tunes from Mark Riley and the High Tide Shuffle, and local beverages. Tickets make great stocking stuffers. We recommend getting tickets before Christmas as music events at the Noodle Guy tend to sell out. 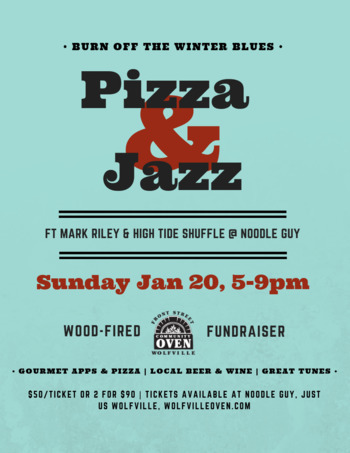 This is a fundraiser for the wood-fired Front St Community Oven.